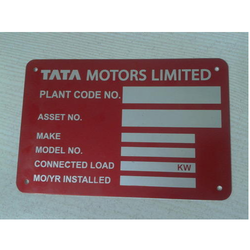 Our range of products include aluminium anodized name plate, anodized aluminium labels, aluminium plates and aluminium stamping plates. 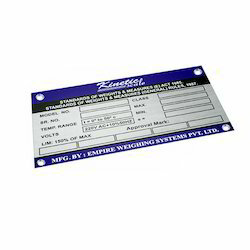 Leveraging by the vast experience of this domain, we render clients with the superior quality of Aluminium Anodized Name Plate. 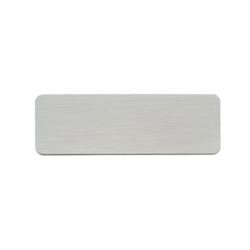 Known for its alluring design and appealing appearance, the aluminium anodized name plate is used at reception area in various corporate offices. 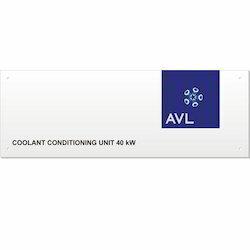 We are an eminent entity engaged in offering an extensive range of quality assured AnodizedAluminium Labels. This name plate is designed and manufactured at our advanced manufacturing unit under the supervision of our deft professionals using the best quality raw material and sophisticated technology. Our offered name plate highly acclaimed for its exclusive attributes, thus broadly demanded all across the nation. We are an eminent entity engaged in offering an extensive range of quality assured AnodizedAluminium Labels. This nameplate is designed and manufactured at our advanced manufacturing unit under the supervision of our deft professionals using the best quality raw material and sophisticated technology. Our offered nameplate highly acclaimed for its exclusive attributes, thus broadly demanded all across the nation. We are an eminent entity engaged in offering an extensive range of quality assured Aluminium Plate. This name plate is designed and manufactured at our advanced manufacturing unit under the supervision of our deft professionals using the best quality raw material and sophisticated technology. Our offered name plate highly acclaimed for its exclusive attributes, thus broadly demanded all across the nation. We are an eminent entity engaged in offering an extensive range of quality assured Aluminium Plate. This name plate is designed and manufactured at our advanced manufacturing unit under the supervision of our deft professionals using the best quality raw material and sophisticated technology. 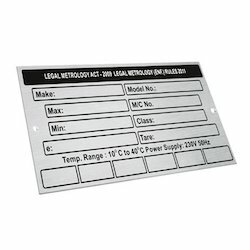 Owing to perfection and quality oriented approach, we have carved niche in the industry by offering an enormous grade array of Aluminium Stamping Plates. They do not get corroded easily and can be put to different uses. Our offered plates are strongly built with quality assured stainless steel and the latest technology. The offered range can be availed in different sizes and other related specifications, to meet needs of our prestigious clients.